Finding that perfect gift for Father’s Day can be tricky. Some dads already have everything, while others are just too picky, and some you just want to seek out that perfect gift that you just know he’ll love. Whatever the reason, we’ve compiled a list of unique Father’s Day gifts that your Dad is sure to love. 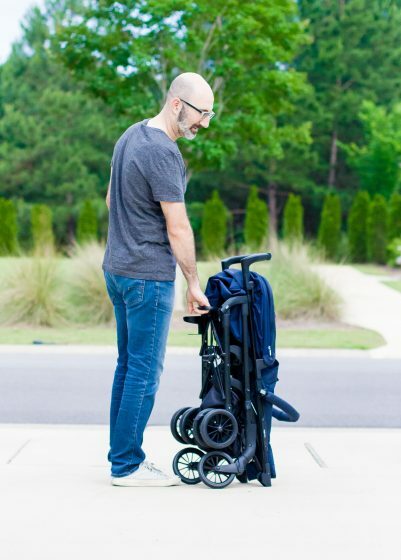 Our list is complete, including awesome strollers, a unique take on the Bible, the perfect pillow, and super fun socks that will make any dad happy this Father’s Day. When you’re a dad of a little one, its essential that you have a stroller. Those dads that are on-the-go will love the Zippy Light from Inglesina. 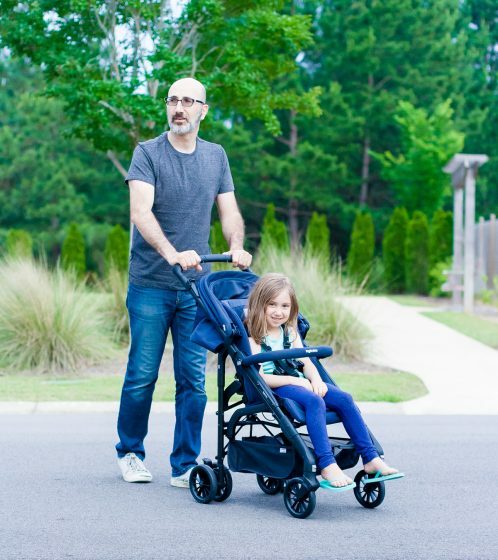 Made in Italy, this lightweight stroller (weighing only 15 lbs), is compact with a narrow frame for easy navigation, and a handlebar that is higher for the tall dads out there. Because it can accommodate infants and children up to 55 lbs, this stroller will work for a long time to come. We especially like the fully reclining footrest and backrest that can go up and down with a simple pull of the lever. This stroller’s large adjustable hood is impressive and one of the biggest weve ever seen. 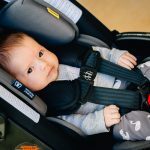 Once you think youve gotten it opened all the way you find another zipper that allows it to get even bigger, ensuring that your little one is protected. 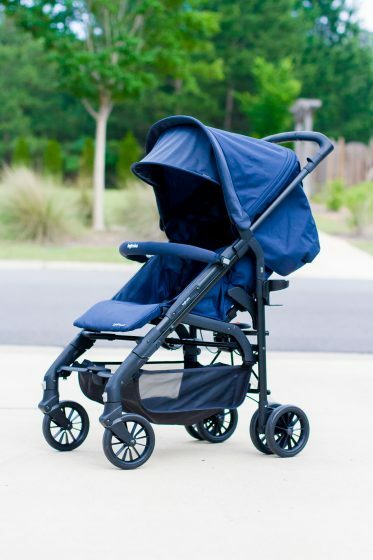 The Inglesina Zippy Light is really everything youve ever wanted in a compact stroller. One of the best features is the one-handed stroll, collapse, and opening. Its really impressive especially if youve ever attempted to collapse and open any other stroller. This feature alone will make this your go-to for quick trips and family vacations. When its time to store the stroller, just push one button and pull up on the handle. 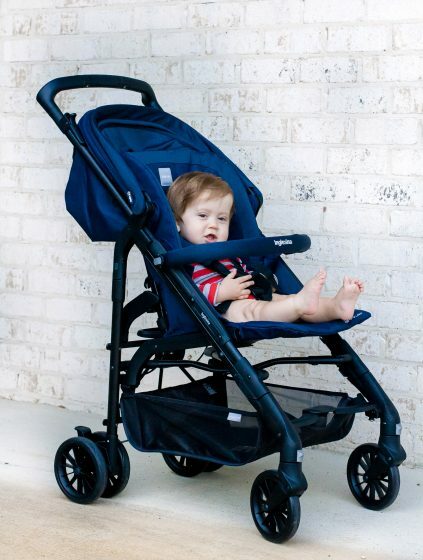 The entire stroller will automatically collapse, and it can stand alone when closed. So gone are the days of the stroller falling over when its stored. The Zippy Light comes complete with the hood, soft bumper bar, storage basket, cup holder, and rain cover. Available in a variety of colors, this quality stroller is really the perfect gift for any father. 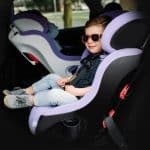 Inglesina is an incredible Italian company with the mission of creating premium baby products like car seats, strollers, and high chairs. 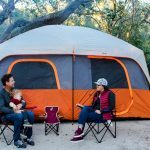 Everyone at Inglesina understands that parents want life with their young families to be safe and as relaxing as possible, so they design products that you can use with ease and without worry. Inglesina products are stylish and elegant like you would expect from a high end Italian designer. This company began in 1963 and continues to be an innovator in everything they make. Many fathers turn to their faith to guide them in how they parent their children and love their wife. 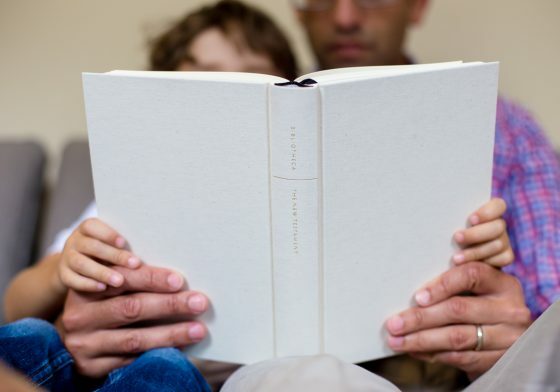 Even if Dad has read the Bible from cover to cover, he has never read it the way it is presented by Bibliotheca, making this book set a wonderfully heartfelt Father’s Day gift. Bibliotheca was created by a book designer, Adam Lewis Greene, who wanted to change the way people experience the Bible. He realized that the way modern Bibles present these ancient writings may be the reason that Bible reading can seem so daunting or like such a chore. A modern Bible is experienced more like a reference book or encyclopedia with all the references, notes, numbering, and pages overloaded with small typeface. He redesigned the way the Bible can be read to make it more like the way it was originally presented to the faithful. The American Standard Version is the translation used, which is the most accurate to the original languages. The proportions of the book are as based on the Ark of the Covenant. The pages match the cubits specified for the Ark of the Covenant. Each volume is the size of a modern novel. There is so much to the story behind Bibliotheca. To really understand the careful and thoughtful design and labor behind this amazing literary gift, watch this video. 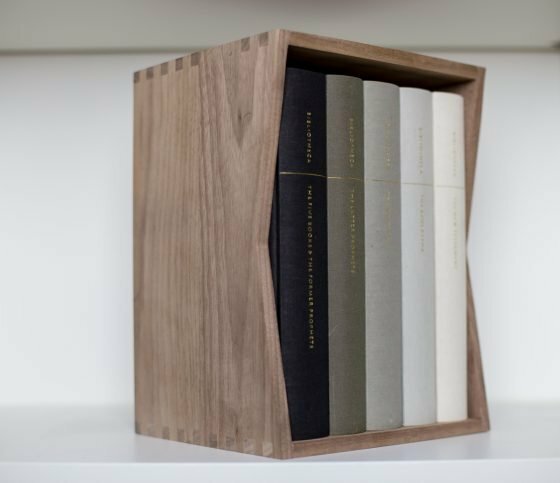 To display all the gorgeous volumes, order Dad the Solid Walnut Slipcase, designed just to hold these books. 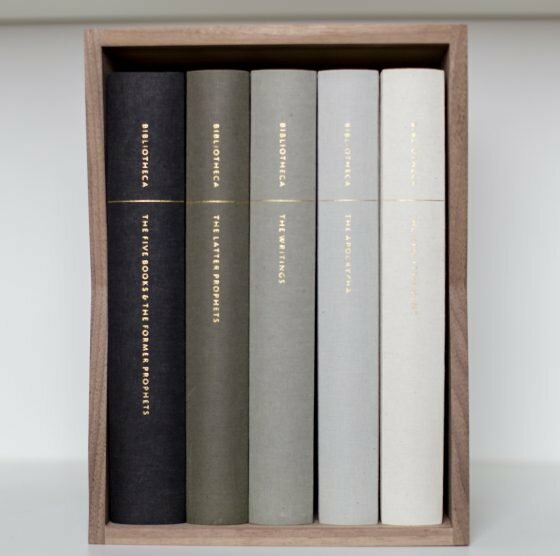 Bibliotheca is truly a work of art and should be given a place of honor on a shelf or other space in your home. Let Dad experience the rich and beautiful stories in the Bible. He can read the Bible with his kids like the literary works of art that they are. There is so much truth and life change to come from the Bible, and through Bibliotheca, your family can read the Bible the way it was originally presented. Read the Bible in a pure and simple way with Bibliotheca. 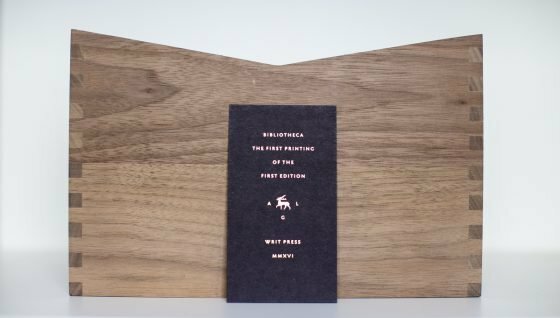 Bibliotheca started as a very successful Kickstarter project, and through passion and dedication, the first printing of the first addition is now available. Read the entire Bible anew with this redesigned presentation of the most read book in history. 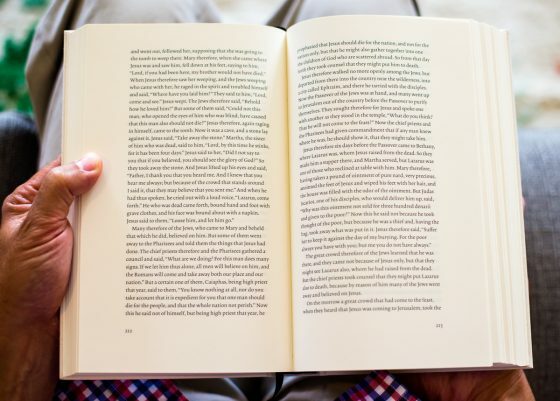 With impeccable design and careful creation, the Bible can be experienced as a literary work of art again, bringing these life changing stories to life for everyone in your family. Read the Bible without all the references and distractions that can overwhelm you. Keep the Bibliotheca set on display in your home to remind your family of the importance of this ancient text that still applies to your life today. 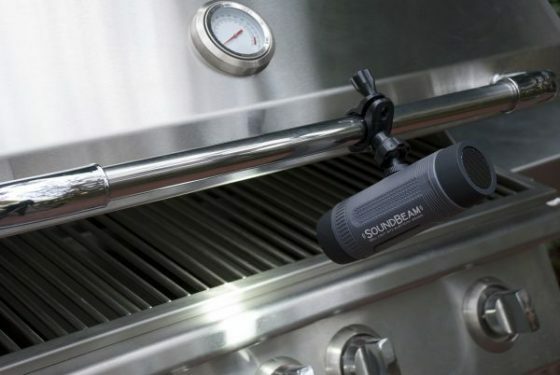 The Soundbeam Grill Light & Bluetooth Speaker is the ultimate grilling accessory. 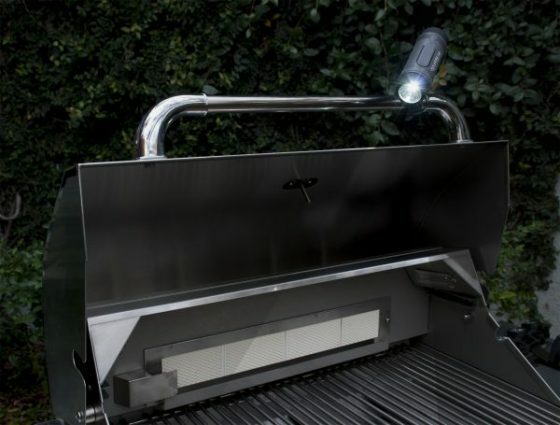 This exciting and tech friendly gadget lights the grill allowing for better visibility of everything you are cooking while playing music to keep the fun rolling. It will pair easily with your Apple or Android phone and also can play music from the radio, a storage card or any other Aux-output device. You can simply use the clamp to place and position the light wherever you need it. 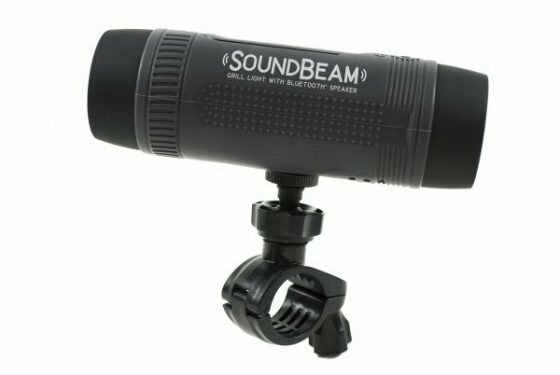 With the Soundbeam Light and Bluetooth Speaker you will have begin to create the ultimate backyard atmosphere. It is time to start getting Dad excited for his next cookout! He will have an awesome light to ensure proper cooking of the meat along with great tunes and the ultimate listening experience. The Companion group is a family of brands that have been created to represent a wide selection of quality home cooking products for both indoor and outdoor or barbecue cooking. These brands include Charcoal Companion®, Steven Raichlen Best of Barbecue and Pizzacraft® along with a new brand, Not In My Backyard. In addition to these brands they also offer a selection of private label services. Since 1984 they have focused their commitment on crafting quality products and being one of the top companies in the grilling marketplace. This Father’s Day Help Dad stay connected to the grill and ensure that everything from burgers to chicken are perfectly cooked EVERY TIME with the Q-Tech Bluetooth Thermometer. 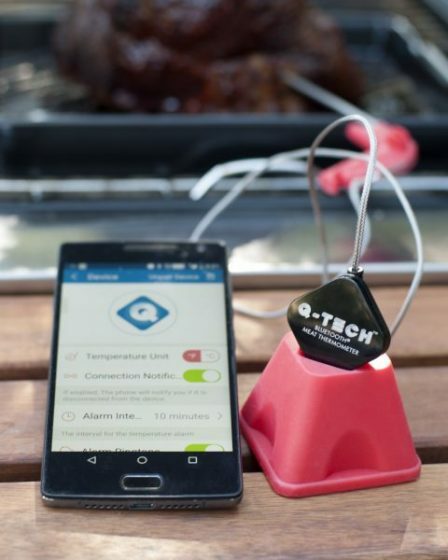 Use the Q-Tech Bluetooth® Thermometer as the smartest way to monitor food as it cooks on the grill. The process is simple and the gift is both thoughtful and unique. All Dad has to do is download the Q-Tech app and pair his phone with the thermometer. The app will alert you to the temperature of your food throughout the cooking process and let you know when its done! The customizable timers and temperature ranges along with its 11 presets for beef, pork, poultry, and more, Dad will be able to easily perfect his grilling creations! The thermometer stays connected to your phone within a range of up to 80 feet. This amazing product will include a base along with 26-inch connecting cable so your probe can reach every part of your grill. 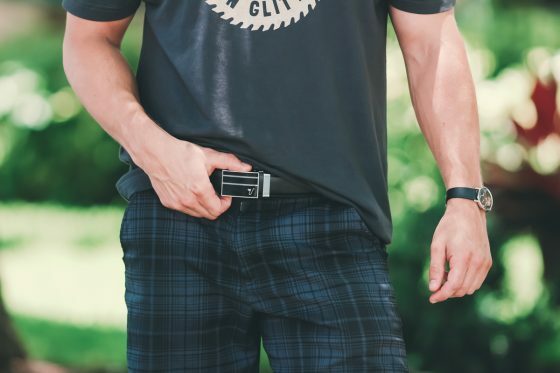 A belt may seem like a boring gift, but if you give the coolest and most functional belt ever, it is not a boring gift at all, and Dad will be thrilled to discover this new company as he throws out every other belt he’s ever worn. 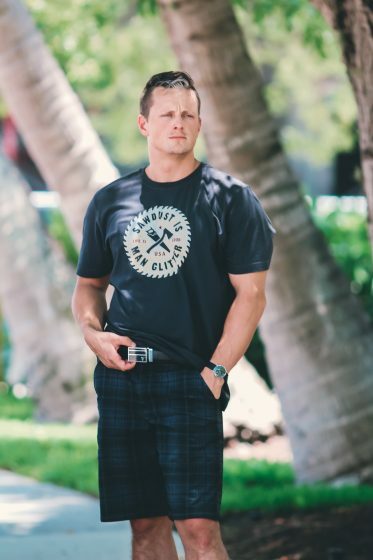 Mission Belt Co. belts are designed to make them more fashionable, functional, and comfortable. They fit better because you get a precise fit. Not every man fits the holes on a belt perfectly, but Mission Belts are truly one size fits all because they adjust to his waist exactly. Here’s how they work: Inside the belt buckle is a clasp and a ratchet. When you tighten or loosen the belt you can adjust to 1/4 inch instead of the traditional belt hole that is a full 1 inch apart. The little spaces for adjustment are on the backside of the belt. You insert the leather into the buckle and it clicks into place for Dad’s size and comfort. The release lever allows him to loosen the belt or remove it with ease. 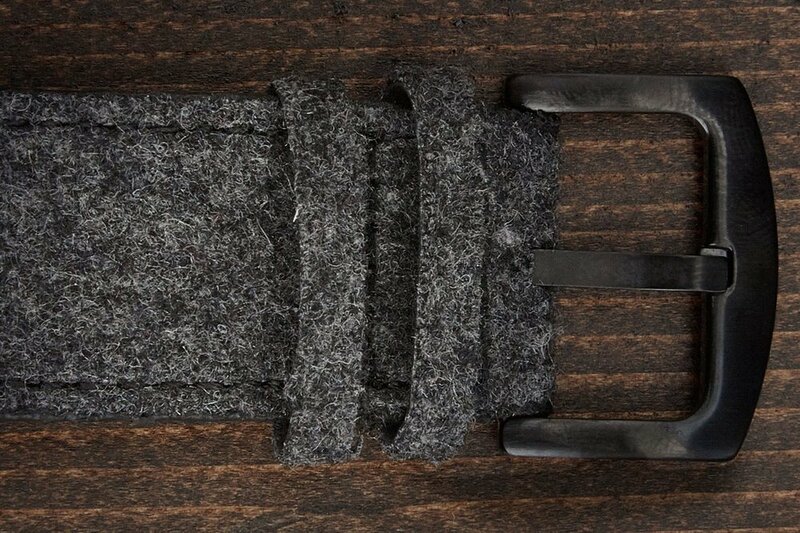 Mission Belts come in two widths: 35mm and 40mm. They are made with real leather and the buckles are interchangeable. A Mission Belt will not stretch out or crack, allowing Dad to wear it for a lot longer than a traditional belt. 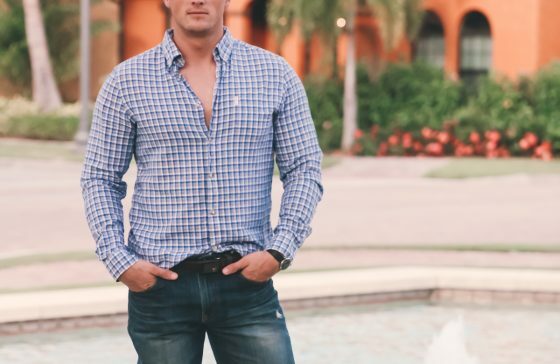 There are styles for dressing up and for more casual looks. 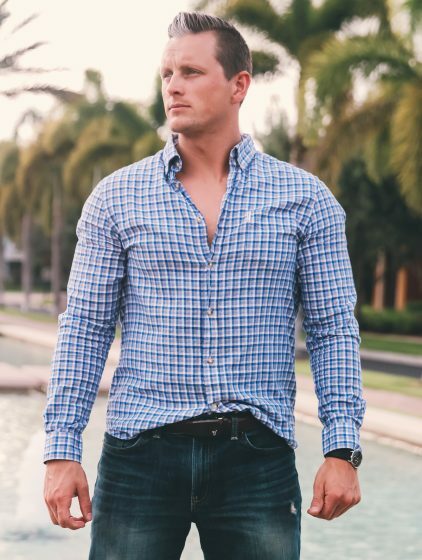 To see all the variety and styles that Mission Belt Co. has to offer, check out our favorite styles for Dad this Father’s Day. Vader: This black belt with a black buckle is a must have for business attire. Black Magic: For a little more style, the Black Magic belt buckle features a racing stripe style design. Chocolate: This is a simple brown belt that looks great with a suit or a pair of shorts and a polo. Every man needs a great brown belt and this is the best one. Unobtanium: Black out his style with this solid black belt and solid black buckle. Rooster: If Dad likes to spice up his look, this bright red belt will delight him. Gold: This black belt is paired with a classy gold buckle giving Dad a style that is understated and sophisticated at the same time. Mission Belt Co. is an innovative company that is truly on a mission. Besides designing ridiculously comfortable and stylish belts, Mission Belt Co. is changing the world for the better. We love companies that give back and inspire us to do the same. Mission Belt Co. donates one dollar from every belt sold to fight global hunger and poverty. Through loans of a few hundred dollars, they give people trapped in a cycle of poverty the kick start they need to begin caring for their families and creating a business that will allow them to support themselves and grow their community. These small loans can take someone from chronic unemployment to running a successful business. The donations for the loans are made to an organization called Kiva. 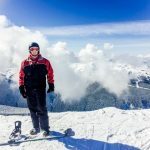 Kiva is a peer to peer micro-lending organization. 100% of every dollar that Mission Belt Co. donates goes right to people who need it. Your purchase of these incredible belts really makes a difference. Gift Dad with some Mission belts and let him know how his gift is making an impact in the world as well. This Father’s Day, set Dad up for a great summer with some new swimwear from SR, Snapper Rock’s new adult line. 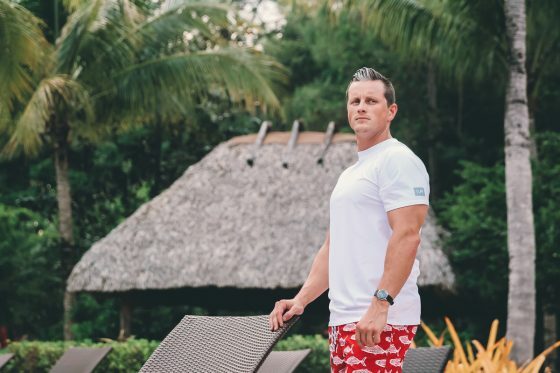 This company makes board shorts and rash guards that are comfortable and protect Dad from harmful UV rays. Boardies from SR are designed to be comfortable, functional, and fashionable. They fit like a classic board short with a drawstring, elastic waist and side and back pockets. SR has lots of options for Dads. 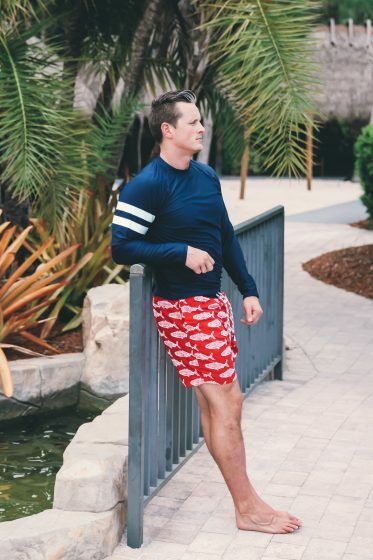 For Father’s Day this year, we suggest the Hampton Fish Boardie. 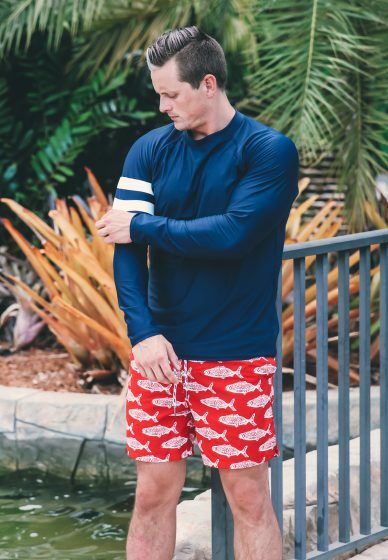 The bright red color with fish pattern is so fun for summer, and easy to mix and match with Snapper Rock rash guards for the ultimate in sun protection. They are lined with mesh and dry quickly. 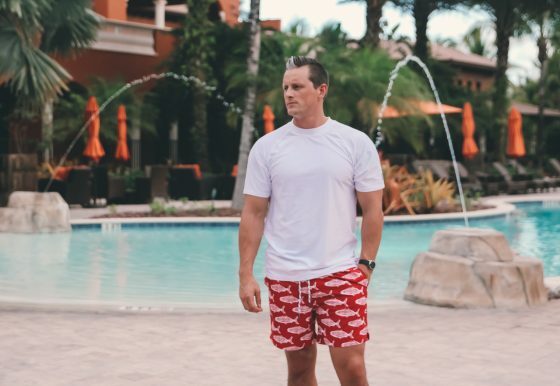 Dad will love these shorts for the beach, kayaking, the pool, or wherever else he plans on playing in the sun and water. If you have a son, get him a matching pair in his size! 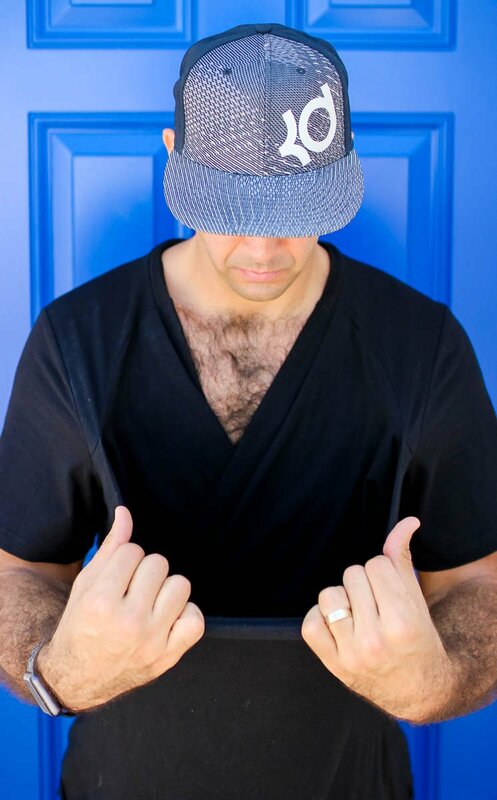 SR by Snapper Rock is known for their swimwear’s UV protective qualities. 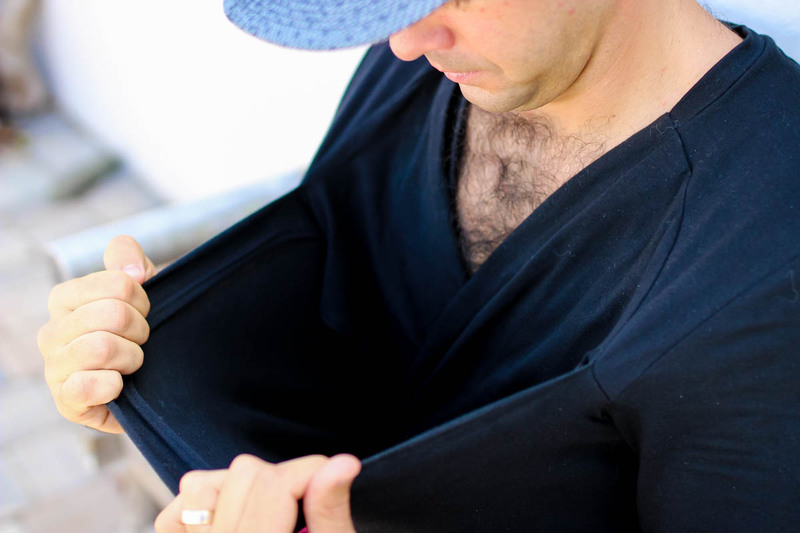 Get Dad a couple Rash Tops from SR and he will be protected with UV 50+ protection. These rash guards are made with durable, stretchy fabric that is comfortable to wear all day long. Perfect for activities like water sports or splashing around with kids, Dad will not want to take his SR off! For a short sleeve option, try the Men’s White Short Sleeve Rash Top. 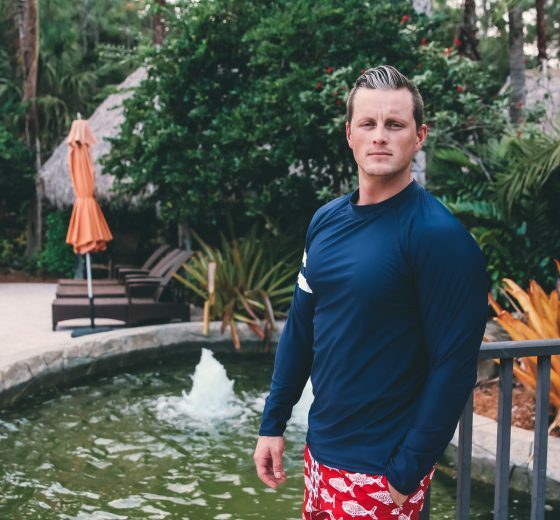 For more coverage, the Men’s Navy Long Sleeve Rash Top is ideal. Snapper Rock was founded by a mom from New Zealand who, after losing her sister to cancer, made it her mission to do something that would save lives. The result was a line of warm-weather clothing that is beautiful and functional. 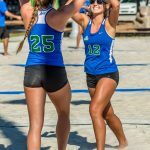 Snapper Rock now creates swimwear for adults with their new line SR. SR’s innovative line of swimwear that blocks 98% of harmful rays with strong and trusted UV protection, parents can rest assured that Snapper Rocks pieces will be as protective as they are stylish for some fun in the sun. 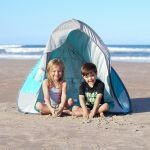 Snapper Rock also sponsors the Childrens Melanoma Foundation, so your purchase will protect your own children and help to heal others at the same time. There’s probably not much more that a parent needs than extra sleep – or at least, better quality sleep. 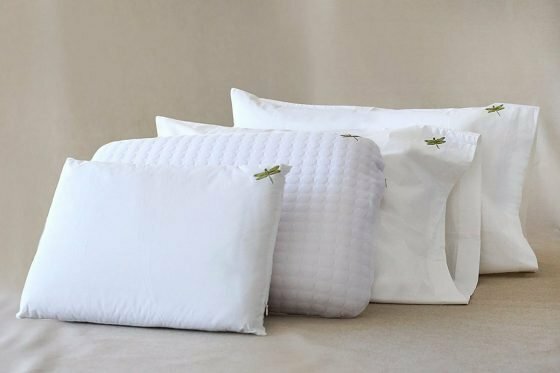 Dreampad pillows make this possible, with their incredibly innovative pillows that encourage better sleep. They’ve been described as miracles and life-changing – and isn’t that something you want to give to Dad this Father’s Day? 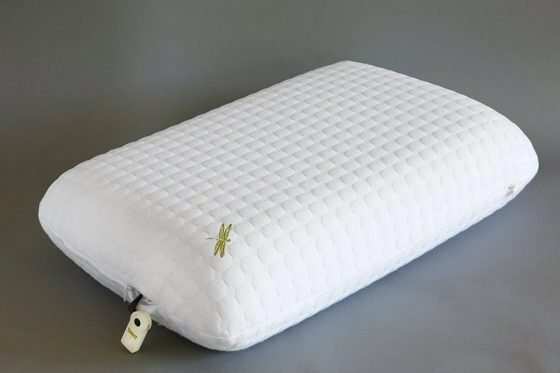 Let us introduce you to the Dreampad Memory Support pillow. 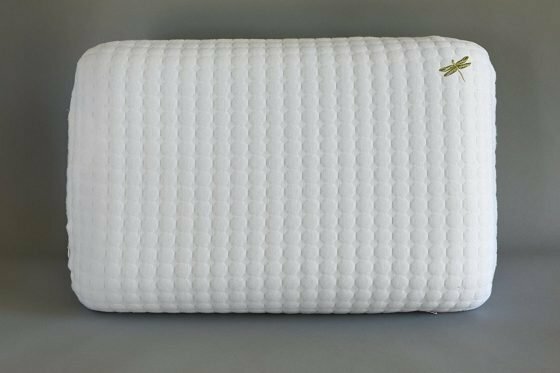 This is an uber-plush pillow made from cozy memory foam, which will give you proper support as you sleep – but that’s not all! Now, allow us to get scientific for a bit, as we explain how these miracle pillows work. Inside the Dreampad Memory Support pillow is a system that plays quiet music while you sleep, all controlled through an app on your phone. Within the app (which you can use when your phone is in airplane mode, so you’re not exposed to wifi radiation as you sleep), you can select from different relaxing songs, and adjust the volume to what’s comfortable for you. 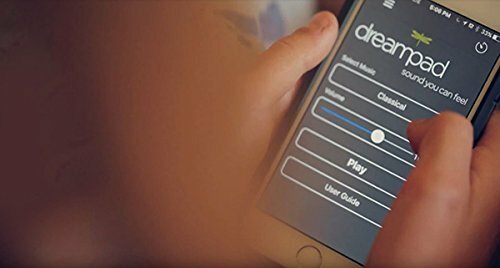 The music has been specially designed so that it helps you achieve better quality sleep – you’ll fall asleep faster, sleep deeper, and sleep longer, by using the Dreampad system. Inside our ears are tiny bones – and bones are natural sound conductors. The music from the Dreampad travels internally to your ear and is quiet enough that it won’t disturb anyone else. As the sound moves toward your inner ear, the vibrations trigger your body’s relaxation response, by stimulating the vagus nerve, which then activates the parasympathetic nervous system (PNS). Our PNS helps us to regulate stress, relax, and fall asleep. The Dreampad has undergone multiple clinical studies and has been shown to help adults, children, war veterans with PTSD, children with autism, and children with sensory processing disorders. Pretty darn cool, huh? Dreampad began in 2007, with music and movement therapy for improving brain function in people with sensory processing disorders, autism, head injury, and strokes, by use of a headset. 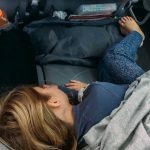 Many children and people with sensory issues couldn’t wear the headset, so the pillow was invented to help those people who couldn’t use the headsets. These were so effective and popular that the pillow users’ family members began asking for pillows of their own, and thus, Dreampad was born. Whether your dad is one who has it all or one who never buys nice things for himself, this Father’s Day the gift of a unique and intriguing watch from the Garwood is the ideal gift. For the great men out there who earn the honor of being called husband, father, daddy, and friend, we know they work tirelessly and selflessly to provide the best for their families each and every day. Some are easy to please and others a bit more stately and structured, but no matter what, we know they are out there striving to do their best. From finding a gift for the hippy dad to pleasing the professional padre, we know the Garwood has got you covered. A classic and original timepiece is always a wise selection, as watches are useful, simple, and never go out of style. Although it was admittedly hard to choose, this year we love the Garwood 360 Collection. Combining the unique elements of a wooden timepiece, with a classic felt and leather band, this splendid watch takes all the guesswork out of finding a great gift. Featuring light and dark leather and wood, the contrasts in this perfect piece are artistic and astounding. 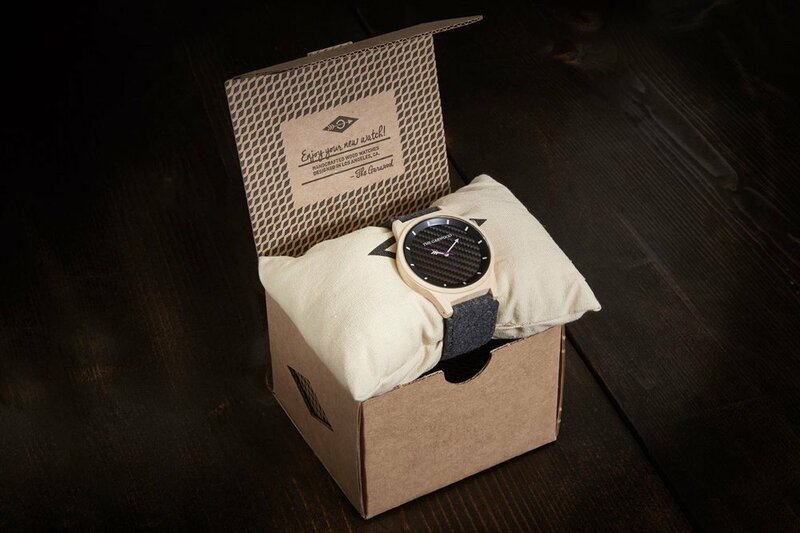 With a round handcrafted, lightweight, light-colored american maple wood watchcase and a dark grey leather and felt band, this watch is sure to draw attention whenever worn. Further, the main focal point or watch face sports a masculine carbon fiber design, sapphire crystal glass, and quartz movement. 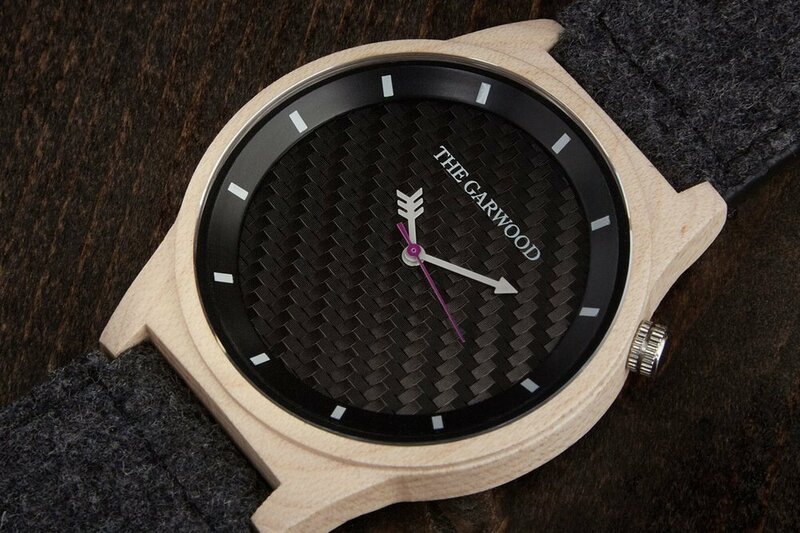 Created using 100% natural wood materials, each and every watch created by the Garwood is unique because of the naturally occurring variations in the wood. This Father’s Day when you gift the dad in your life an eye-catching timepiece from the Garwood you will literally be giving him a one-of-a-kind, original keepsake. The Garwood is a company born of two best friends who wanted to take us back to a simpler time. Friends Michael Garwood and Morten Sorensen created this company to influence others to relax, de-stress, and enjoy life; these avid travelers wanted their products to invoke a sense of youthfulness and good vibes. Setting out to create a product that meshed style, nature, and everyday function, the Garwood is meant to inspire you to take it easy. 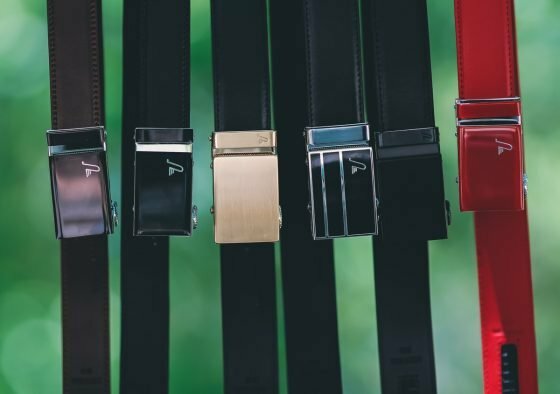 All of their products are handcrafted in California using durable American Maple or other exotic woods, and with different face shapes and colors to choose from, no two watches are the same. New fathers are so often forgotten in all the hustle and bustle of baby showers, gift-giving, and new baby excitement. This year celebrate all that is so special about that father/child bond with Milk & Baby’s Men’s Skin-To-Skin Kangaroo T-Shirt. New father’s will love this snug, soft, and supple t-shirt perfect for cuddling with new baby and keeping them warm. Daddies around the world are known for giving the best cuddles and always keeping their babies safe and secure, so what better way to start that tradition than right from birth. Dad’s out there want to take an active role in those first few weeks of baby’s life, and with a kangaroo care option just for them this provides the perfect opportunity. Skin-to-skin contact is essential to a new baby’s growth and development whether premature or born two weeks late, so allowing Dad to join in on this crucial bonding experience is an awesome way to allow baby to meet Daddy, become accustomed to his touch and smell, and to give the new mama’s out there a much needed break. Babies who are held skin-to-skin adapt easier, allowing their tiny bodies to learn temperature regulation, allowing their heart rate to stabilize, promoting better oxygenation, and improving sleep, leading to better brain development. With the Kangaroo Shirt, baby will feel secure and content burrowed in and cuddled up with Dad making him or her likely to doze off and snooze comfortably while tucked in tight. 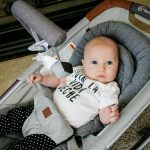 Allowing baby the opportunity to curl up in the fetal position or allowing him or her to sit in the “frog” sitting/squatting position, this Kangaroo Shirt will keep baby’s weight evenly distributed without pressure points. 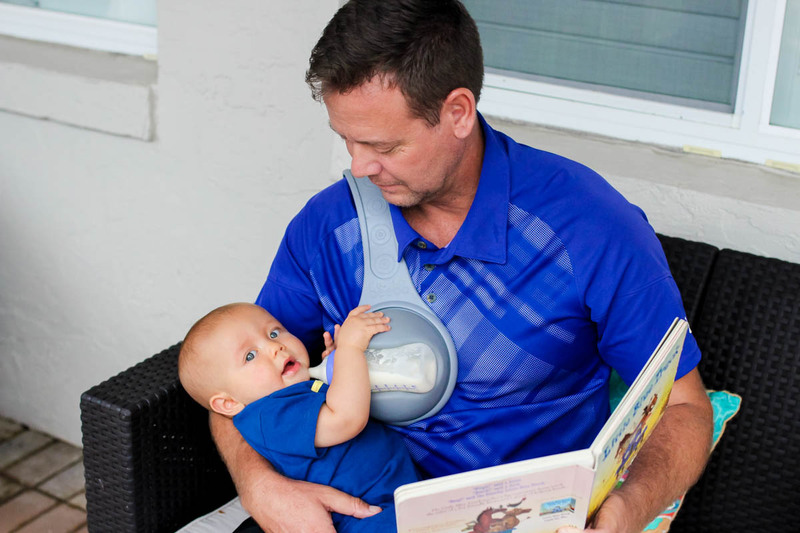 Featuring an easy on/easy off design, snug-fit, hands-free support, and adjustable head support, dad’s can read, relax, or even walk around all while wearing baby and keeping him or her safe and warm. 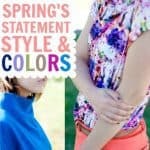 Milk & Baby is a unique clothing company created in 2011 by two moms looking for cute, convenient, and affordable nursing wear. Since then the company has expanded to include labor and delivery items and kangaroo care items for both new moms and dads. Their functional and fashionable products are hand-picked to promote and facilitate with ease labor and delivery, skin-to-skin contact, and breastfeeding. Trying to fulfill the needs of new mamas out there, Milk & Baby has created comfortable, beautiful clothes to make Mom feel good all while meeting the specific needs of a new mom’s wardrobe. For any dad who is stuck wearing business attire day in and day out, Sock It to Me makes it easy to inject some personality into an otherwise boring outfit. Perfect for the dad who doesnt take life too seriously, Sock It to Me will break through the mundane and add a playful wink to any wardrobe. With over 200 different sock designs, everything from ninjas to unicorns — and everything in between — there is truly something for every personality. Sock It to Me offers stretchy, well-constructed, and comfortable socks to liven up your outfit and brighten your day. 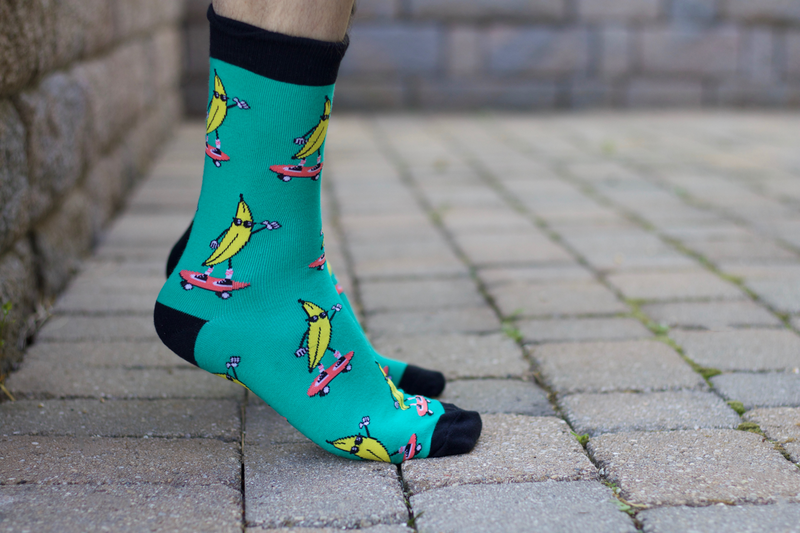 They have you covered with quality socks in plenty of fun designs, like these Peeling Out Socks, featuring sunglass-wearing bananas riding on skateboards. We love how the bright yellow bananas and coral skateboards really pop against the bold turquoise background, giving more energy to an already funky sock. For the dads that love to grill  or even just eat  burgers, Sock It to Me has the perfect design. 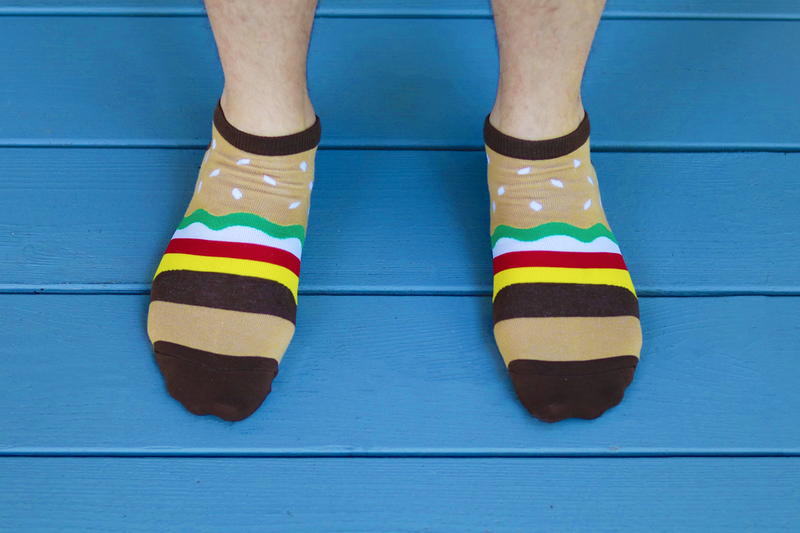 Unlike the knee high Burger socks, these Ankle Sliders (since sliders are smaller than burgers, get it?!) are perfect for summer. These are especially great for a dad that is more understated with his wardrobe choices, but still wants to add a fun detail to his outfit. Got a music man in your life? This Music Man design will rock his socks! Everyone knows songs sound better on record, so any music enthusiast will appreciate this design. Navy blue with white record players, these socks would be fun to wear to a concert or music festival. For the dinosaur lover  check out these T-Rex Crews. 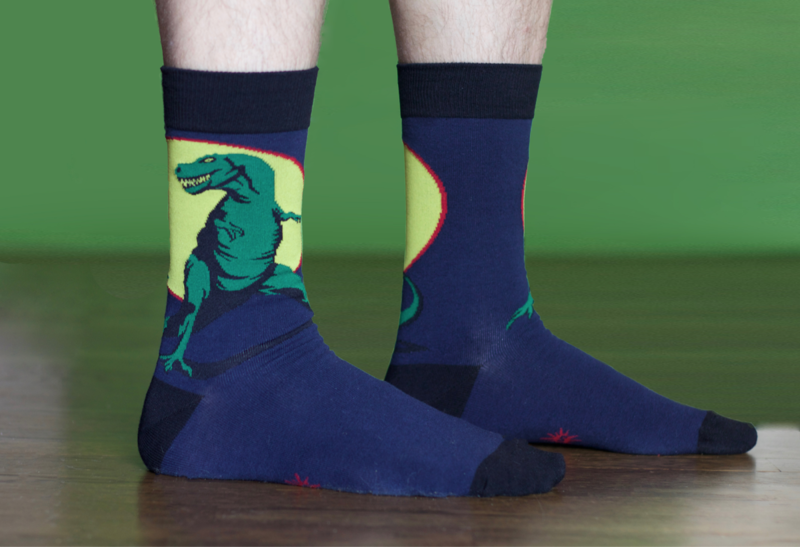 They feature a forest green Tyrannosaurus Rex standing majestically in front of a full moon. 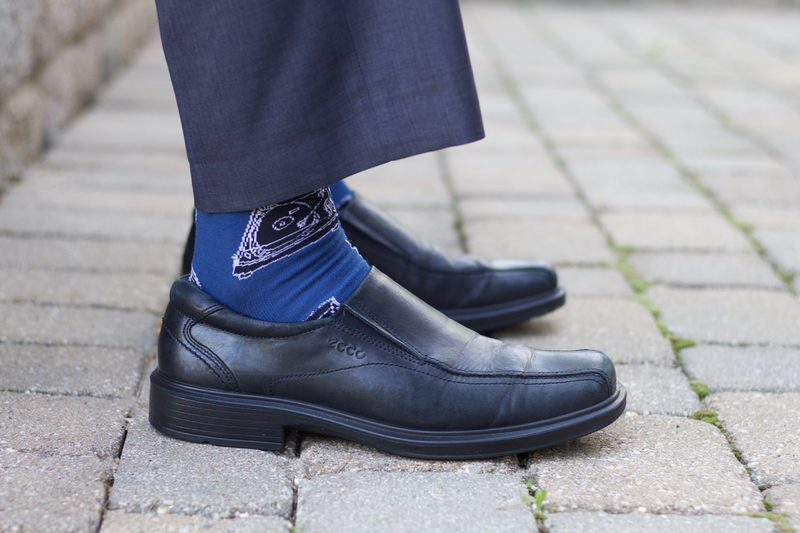 A solid black cuff, toe, and heel give an added detail to these fun, statement navy blue socks. 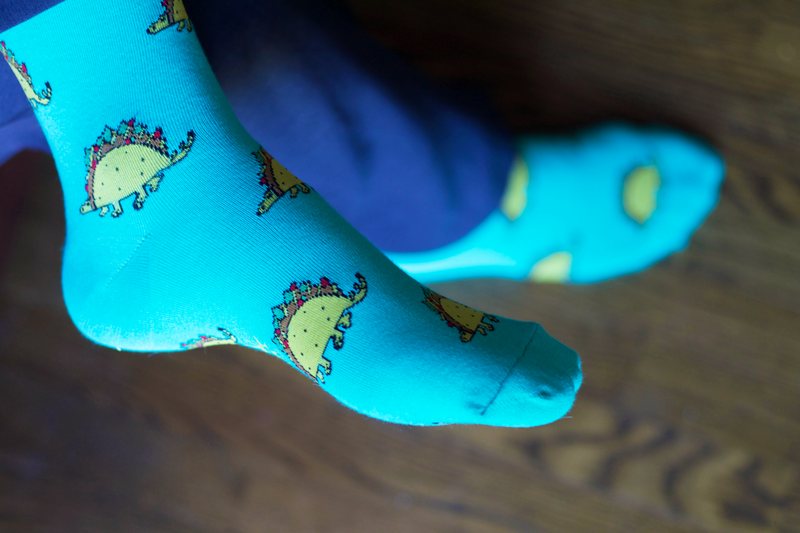 Weve saved the best for last with these STRETCH-IT Tacosaurus Socks. Seriously, who doesnt love tacos? And tacos, combined with dinosaurs  even better! These super stretchy socks can reach up to 21 inches in circumference. The soft material feels substantial, but still has a lot of give to it; the perfect combination for maximum comfort. What began in a tent at an outdoor market in 2004, plus a desk in a messy bedroom, can now be found all over the world. Sock It to Me now has grown to a team of 40+ employees, all who are passionate about creating funky, unique socks for all kinds of personalities. Theyve got ankle socks to knee highs, with endless choices of patterns and designs. 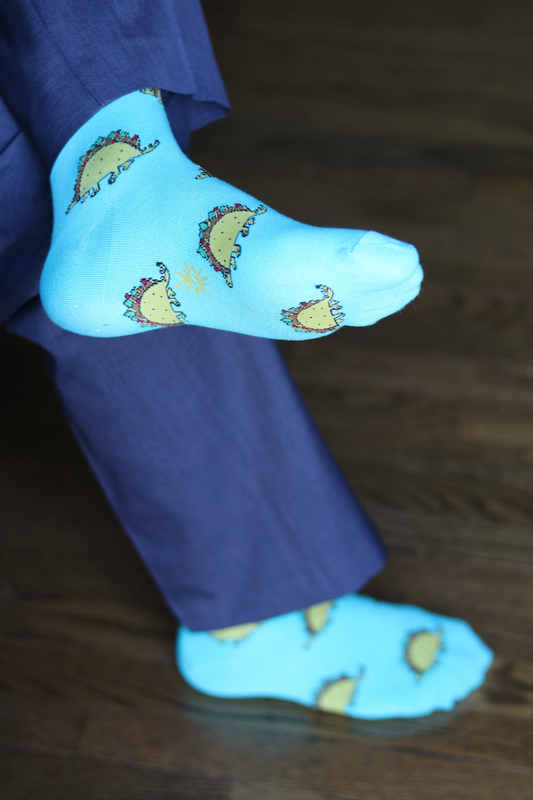 Whether youre looking for some fun sock options for the work week, just lounging around the house, or even looking to jazz up your groomsmen outfits, Sock It to Me is the perfect brand. They pride themselves in providing awesome customer service for all your needs. They are passionate about what they do and it shines through in all of their products. For all things baby and organic, we turn to Finn + Emma, and as luck would have it, they’ve cooked up something extra special for dads this Father’s Day. What better way to surprise a new dad on Father’s Day morning than with this sweet Love Dad lap bodysuit and matching arrow shorts? 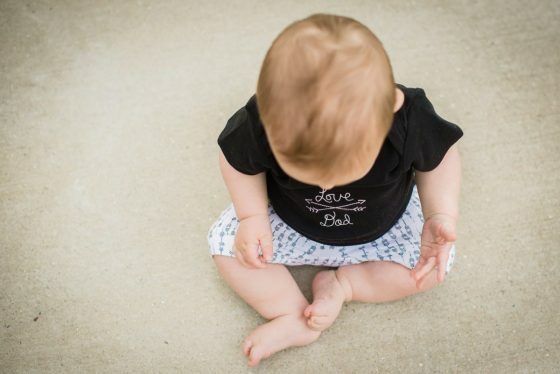 We’re pretty obsessed with Finn + Emma clothing – made from only the purest of organic materials, this bodysuit and shorts are buttery soft and made from 100% organic cotton, eco-friendly inks and dyes, made in fair-trade settings, and with lead and nickel-free snaps. 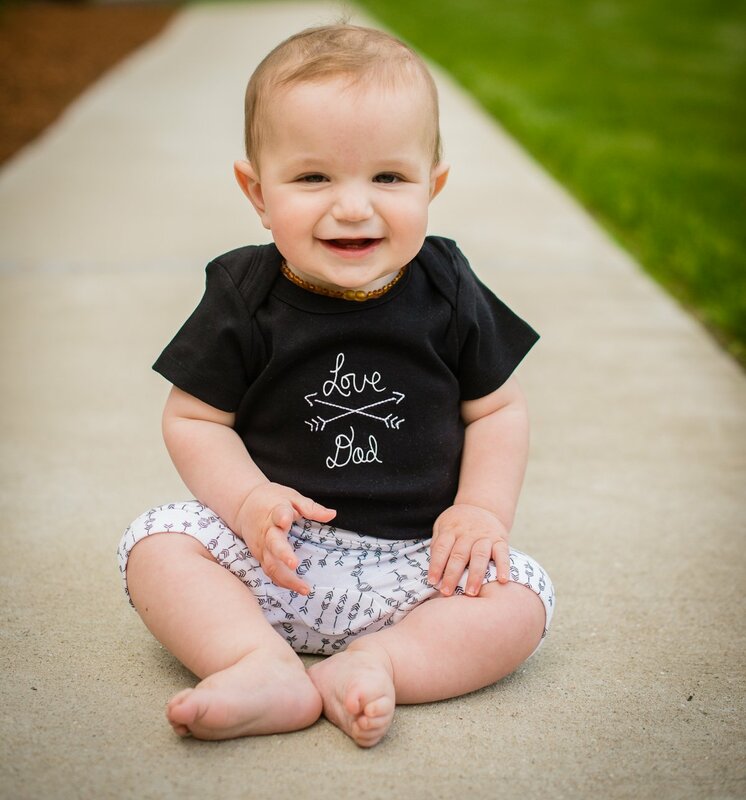 The embroidered “Love Dad” detail with arrows is understated, trendy, and pairs perfectly with the black and white arrow print shorts. Finn + Emma clothes are truly built to last, so this outfit will last your little one long after Father’s Day, bringing joy to Dad all year long. These are sized generously, and have plenty of room to grow for your baby – and we just love how this outfit is perfect for boys and girls. We only wish that your computer had “touch-o-vision” so you could feel how soft, substantial, and incredibly well-made these pieces are! Finn + Emma offers a modern twist on classic baby clothing, providing its wide fan base with truly unique clothing that’s anything but ordinary. 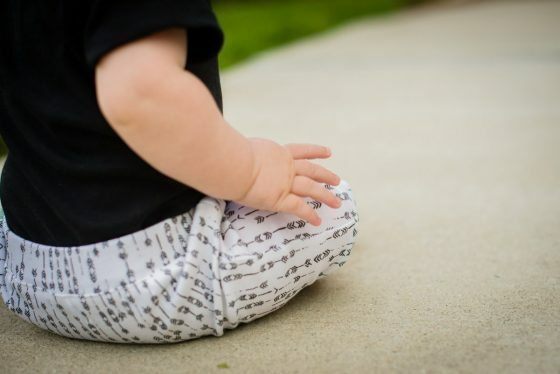 Each piece is expertly designed with a bit of a hipster twist, and crafted in a fair trade environment with the finest 100% organic cotton fabric and eco-friendly dyes, free of any kind of toxin that would harm your precious baby. Finn + Emma focuses on sustainability, and prides itself on creating heirloom-quality pieces that last through whatever life throws at you. These clothes and toys are favorites of many celebrities, including Kourtney and Kim Kardashian, Kristin Cavallari, Kristen Bell, Jennifer Garner, and Olivia Wilde, to name a few, and it’s easy to see why. Give the new or expectant dad in your life a Father’s Day gift that will show you are invested in his relationship with the baby as well as yours. A Bondaroo shirt from Dadware is perfect for snuggling during those fussy newborn days! 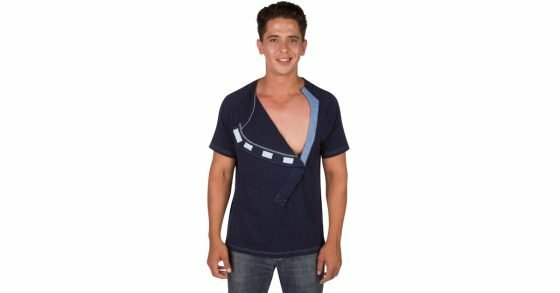 The DadWare Bondaroo shirt was created by a dad who wanted to snuggle skin to skin with his newborn and be more comfortable while doing so. The design is genius. 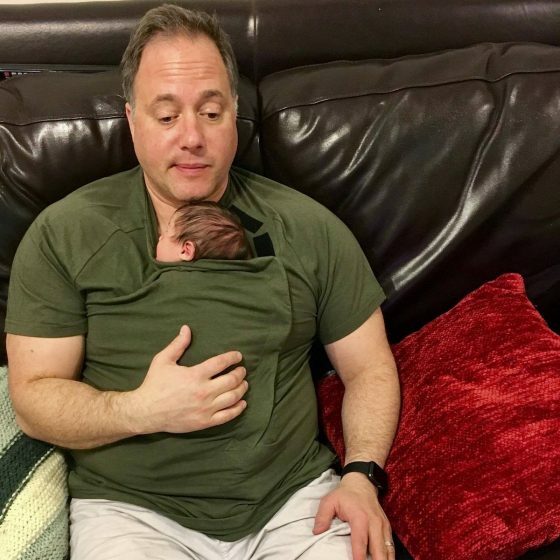 It looks like a normal, stylish t-shirt, but has a velcro flap allowing the user to easily and conveniently engage in skin to skin bonding with their newborn. The Bondaroo is very comfortable, made of bamboo, cotton, and a little spandex for stretch. This shirt is made in the U.S.A. and comes in sizes medium  XXL. Available in four colors, Dad will want more than one. Order before baby arrives and pack in your hospital bag. Skin to skin contact is incredibly beneficial for the parent-child relationship and for the wellness of the baby. Encourage attachment and keep baby feeling comfortable, warm, and safe by tucking him in tight to Dad’s chest with the Bondaroo from Dadware. The patent pending design of the Bondaroo will give Dad confidence that he can also care for his new baby. He will know that he can bond with his newborn just like Mom, even if she is breastfeeding. He will be close enough to learn when baby is hungry, tired, or stressed. Skin to skin contact relieves stress for parent and baby. Dad will be calmer and so will baby. A Bondaroo shirt should be required for all new dads! DadWare creates shirts and gowns just for skin to skin contact with baby that is comfortable for parent and child. 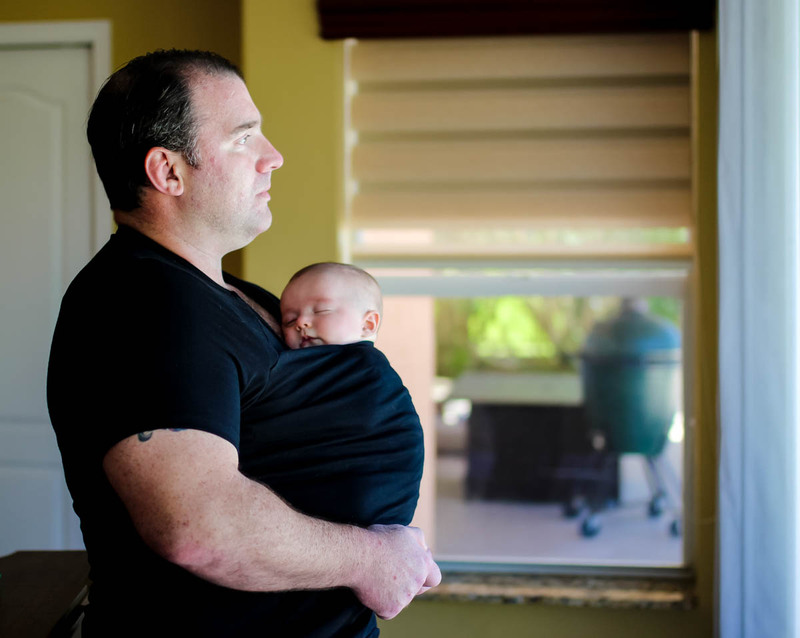 This company was started by a dad to help other dads stay close to their babies. 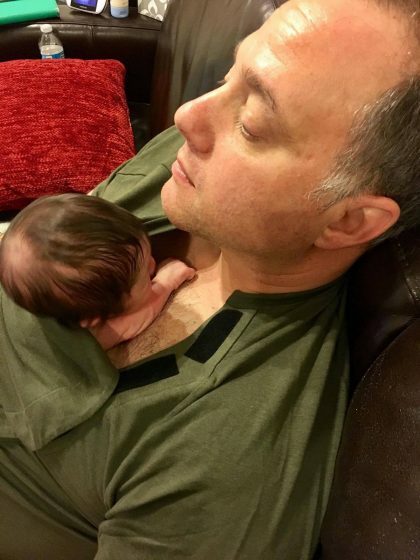 The Dadware creator experienced firsthand how wonderful skin to skin contact is for baby and caregiver, but he also realized how uncomfortable it is for the dad to be shirtless in order to do so. Out of that, the patent pending Bondaroo shirt was designed. 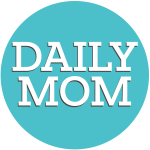 Dadware also makes gowns for moms that are ideal for delivery and those early days postpartum. Whether your newest edition is bottle or breastfed, most of us mama’s need Dad to pitch in during feeding times, and the Beebo makes this easier than ever. In today’s fast-paced society the majority of women who breastfeed still express milk and store bottles, so whether formula or breastfed, Dad can help with feedings, whether late night, early morning, or in between. As we all know feeding our little ones can be a special bonding time and new dads love to pitch in, basking in the quiet and closeness this time brings. 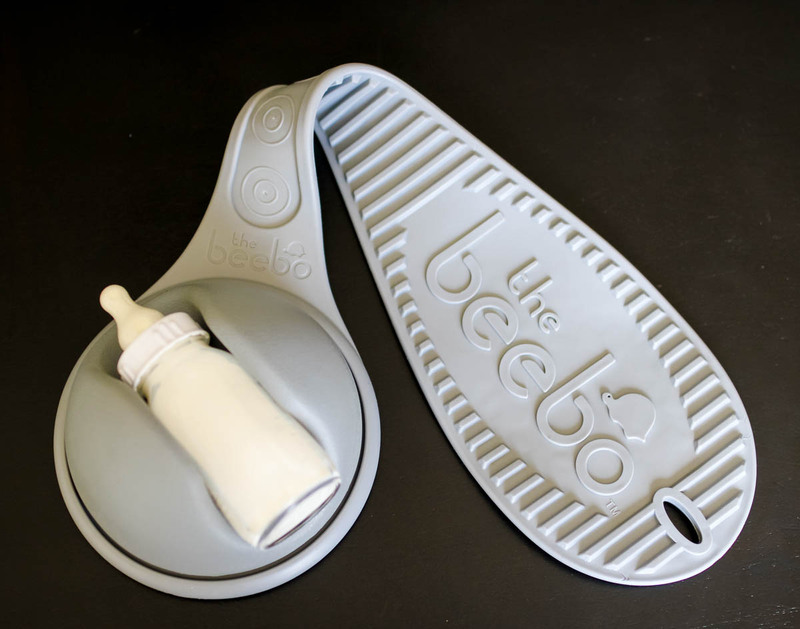 The Beebo – a better way to bottle feed – is a great gift for that new dad who wants to make the most of these moments. Allowing Dad to bottle feed baby with a free hand enhances this experience allowing him to do so while reading a book to baby, caressing baby, holding his or her hand, or even while enjoying a meal with the family. With the ability to position the bottle at the proper angle while feeding baby, the Beebo allows Dad to also ensure baby is positioned upright and comfortably while eating. Made of squishy foam, BPA-free, lead-free, PVC-free and phthalates-free materials, the Beebo is safe, lightweight, and comfortable even with a bottle in it. Fitting just about any bottle, the Beebo sits over your shoulder and is kept balanced and securely in place with a ribbed underside and back counterweight. 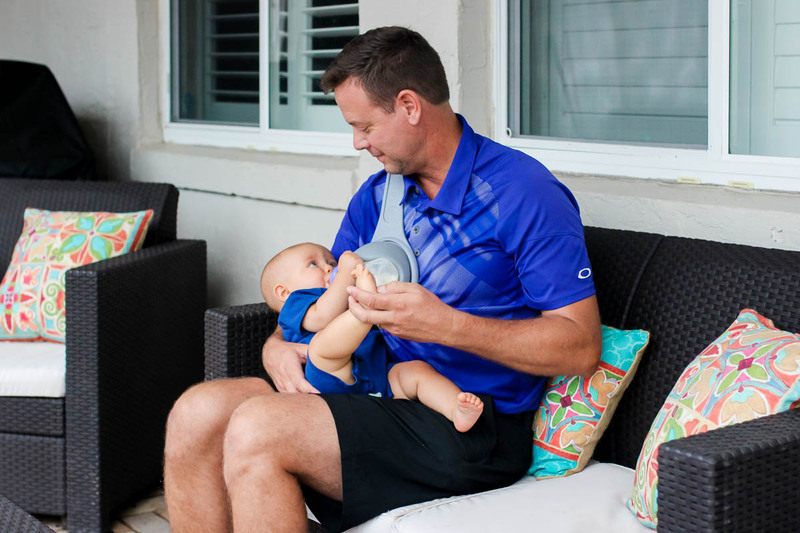 Easy to roll up and add in a diaper bag, the Beebo makes bottle feeding a breeze whether in restaurants or at home, and lets Dad participate fully in both feeding baby and the world around him. The Beebo was created by a hands-on dad and engineer, Martin Hill. Wanting parents to be able to feed baby while also interacting with the world around them, meaning enjoying mealtimes with baby at the table and entertaining older children, Hill developed the Beebo. 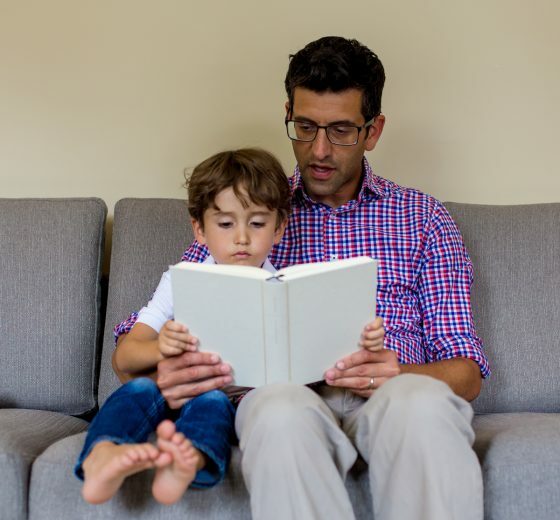 As a dad, Hill found that his son was calmer when read to during feeding times, and the Beebo allowed him to have a free hand so he could do so. This revolutionary feeding device allows bottle-feeding parents to fully interact with baby during these precious moments. However you choose to spend your Fathers Day, just remember that what matters most, is Dad. Dad is an amazing being, partnering with you or the one who raised you to be the best you can be. Imperfect he is, but ever so loved will he be this season. These unique gifts are just one of many ways to express your appreciation this year. Happy Fathers Day! 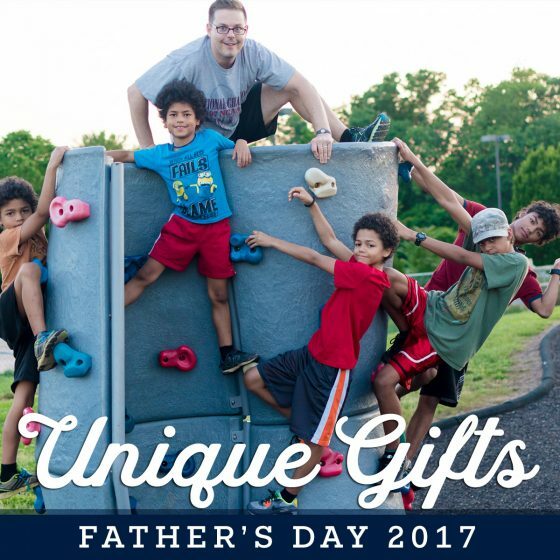 Be sure to stick around for more Fathers Day Gift Guides coming soon!